Quite often we are hearing about Anti-Social Behaviour by hearsay, that is by someone telling us about an incident that they did not witness but have heard about? Although interesting, we cannot act on this and the Police cannot use this as evidence to allow them to act appropriately. If you are personally experiencing Anti-Social Behaviour please make sure you either call in to the Library and complete a referral form or go on to the Library website and report your concerns. REPORTING ASB – The police, local authority and housing associations can only act if you report a problem to them. Don’t suffer in silence. If you report it, you might stop the same problem happening again. You will also make Werrington a safer place. Don’t suffer as Fiona Pilkington did, a lady from Leicester who in 2007 killed herself and her 18year old disabled daughter after Leicester Police failed to investigate her 33 complaints to them about harassment. They suffered years of abuse. The Community Trigger has been created to prevent this sort of tragedy from happening again. If you want to report a crime completely anonymously, you can call Crime Stoppers on 0800 555 111. They will then pass the information to the local police. However, with anti-social behaviour, it is better to report it to the local agencies yourself wherever possible. This means you can have a direct contact with someone in the police, local authority, housing association or one of your Werrington Parish Councillors who will treat your information in confidence and pass it on to Cllr Kenn Griffiths, your ASB co-ordinator who has first hand experience of combating ASB and has close working relationships with the Police. POWER IN NUMBERS – There is power in numbers. The Community Trigger helps give victims a louder voice. With the Community Trigger you can demand a case study review of your situation. 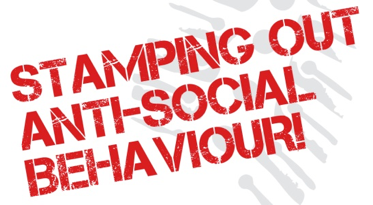 Activate the Community Trigger if you have reported anti-social behaviour three or more times and you think not enough has been done. Remember, other people in Werrington might be suffering from the same situation. They might be at their wit’s end. They might be particularly vulnerable or intimidated by the perpetrators of the anti-social behaviour. If you report your experience of anti-social behaviour, you will be offering support to other victims. The agencies are also more likely to act if lots of households in Werrington are making complaints. COMMUNITY TRIGGER – If you have reported an incident three or more times within a six month period and not received a satisfactory response, you can activate the Community Trigger (also known as ASB Case Review) through Staffordshire Moorlands District Council (SMDC). This has been designed to give you, the right to demand that agencies deal with persistent anti-social behaviour. There will be a multi-agency case review which involves various agencies (eg. local Police, Local Authority, Housing Association, NHS). This is different from a single-agency complaints process which looks at faults in the way an agency responded. The Community Trigger process is more of an attempt to ultimately fix the problem and stop the anti-social behaviour. SMDC must specify the point of contact for activating the Community Trigger and ensure that applications made to that point of contact are passed on to all the relevant bodies in the local government area.